Paul Douglas Hinkle age 85 of Pikeville, Kentucky passed away Tuesday, April 9, 2019 at his home. He was a graduate of Inez High School, Pikeville Jr. College, and Morehead College. He was a veteran of the United States Army. After serving in the military he became an educator in Martin County schools as Assistant Principal and Principal and Pikeville Independent as Teacher and Principal. He joined Walter P. Walters Insurance Company in 1965 and became President in 1980. 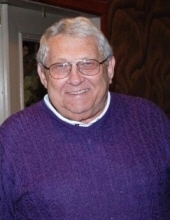 He was a member of First Baptist Church Pikeville, where he served as a Deacon, a Trustee, and a Sunday School Teacher. He served on the Pikeville Independent Board of Education for 12 years and was a past member of Pikeville College Board of Trustees and the Advisory Board of Prestonsburg Community College; he served on the Board of Kentucky Independent Insurance Agents, Board of Directors of Flat Top Insurance; the Board of Directors of Matewan Bank, the local BB& T Board and was also a member of Kiwanis and was Kiwanian of the Year. He was also Pike County Chamber of Commerce Man of the Year, Pikeville College Outstanding Alumni, Pikeville College Distinguished Educator and a Pikeville High School Distinguished Alumni. He was born in Milo, Kentucky on July 20, 1933, the son of the late Oran and Ruby Fannin Hinkle. Along with his family he was preceded in death by a brother, Joe Hinkle. He is survived by his loving wife of 63 years, Judith Walters Hinkle and daughter, Paula H. Pugh (Darrell) Pikeville, sister, Faith Hinkle of Pikeville and also two grandchildren, Amanda Martin Borden (Wes) of Lexington and Jay Martin (Madi) of Lexington. Visitation for Mr. Hinkle will be Thursday, April 11, 2019 from 5p.m. until 8p.m. at the Pikeville High School Auditorium and also Friday from 11a.m. until 2p.m.. Funeral services will be 2:00 p.m. Friday, April 12, 2019 at the Pikeville High School Auditorium with John Lucas officiating. Burial will follow in the Walters Cemetery at Pikeville, Ky. Serving as Pallbearers will be Jay Martin, Wes Borden, Darrell Pugh, Stephen Walters, John Worthington, Richard Worthington, John Vandermale, Bernie Kempinski, Marc Gibson, Kevin Berounsky, Dennis Walters and Marc Walters. In lieu of flowers contributions are asked to be made in his memory to, First Baptist Church of Pikeville, 126 Fourth St., Pikeville, Ky. 41501; the Bluegrass Hospice Care, 57 Dennis Sandlin MD Cove, Hazard, Ky. 41701 of the PCA Scholarship Fund U-Pike, 147 Sycamore St., Pikeville, Ky. 41501. To send flowers or a remembrance gift to the family of Paul Douglas Hinkle, please visit our Tribute Store. With John Lucas officiating. Serving as Pallbearers will be Jay Martin, Wes Borden, Darrell Pugh, Stephen Walters, John Worthington, Richard Worthington, John Vandermale, Bernie Kempinski, Marc Gibson, Kevin Berounsky, Dennis Walters and Marc Walters. "Email Address" would like to share the life celebration of Paul Douglas Hinkle. Click on the "link" to go to share a favorite memory or leave a condolence message for the family.